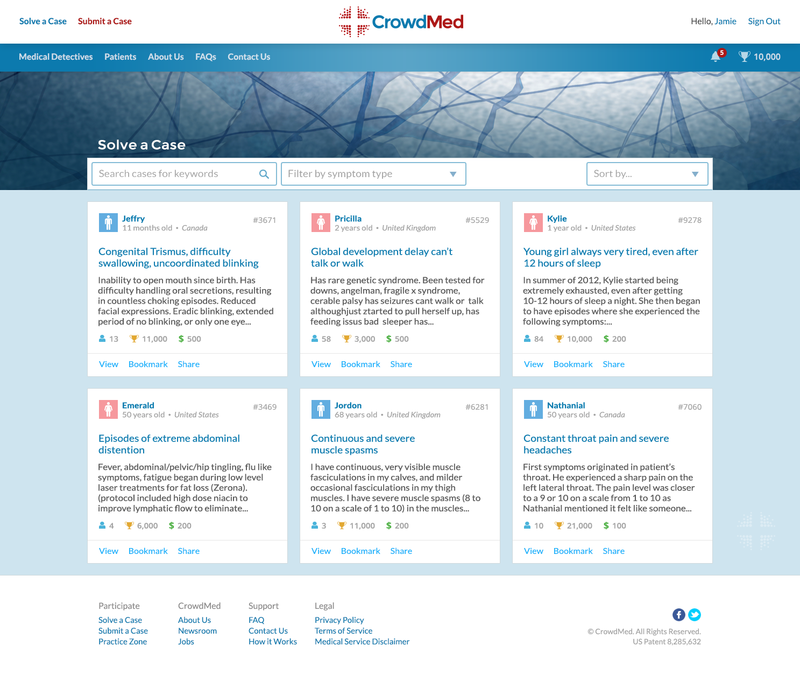 CrowdMed is a website that uses the “wisdom of crowds” to solve medical cases quickly and accurately online. 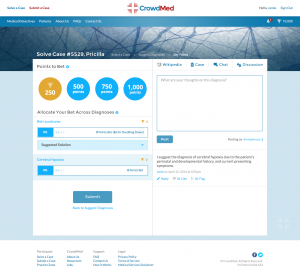 We provide a place for patients to post their symptoms and broadcast their cases to our medical detective community, which includes doctors, med students and patients themselves. Our medical detectives collaborate to solve each case and suggest possible diagnoses. Our system assigns a probability to each diagnosis based on our research and the behavior of the medical detectives who worked on the case. Once enough medical detectives have participated in a case, we deliver an extensive report to the patient. Just like that, we’ve gotten a patent a second, third, 50th opinion without any invasive tests and unnecessary doctor visits. 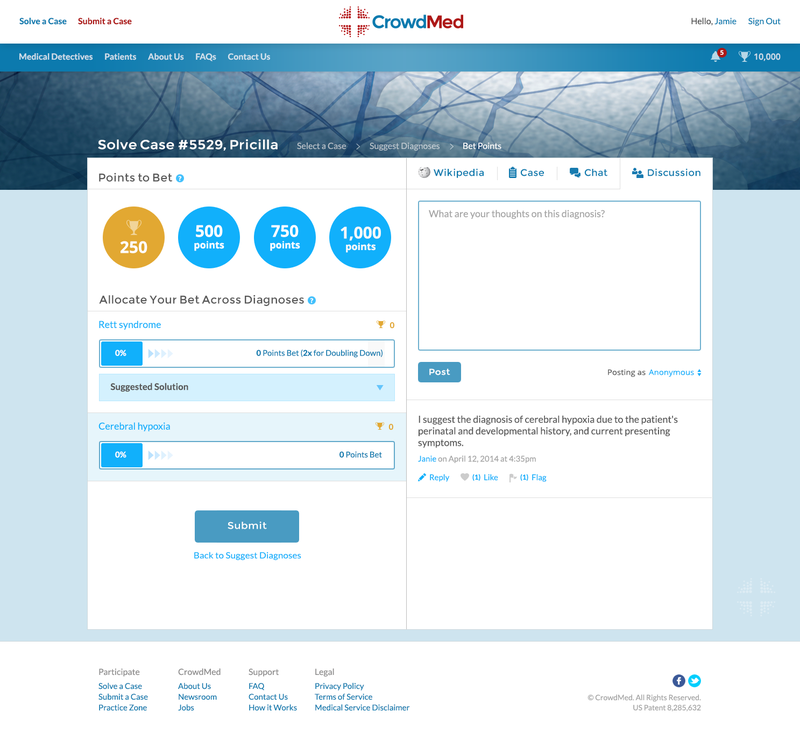 We tested our system on cases with known diagnoses that cost patients hundreds of thousands of dollars, lasted many years, and taken dozens doctors to solve—my case included. We were able to solve these cases in a matter of weeks, at a fraction of the cost. Now we’ve helped diagnose 200 of the world’s most difficult medical cases, and that’s only the beginning. By designing a site that simplifies complex medical data, connects patients with the people who understand this data, and uses statistics and technology to uncover answers, we’re making medical diagnoses more accessible to everyone. During my junior year of college I got sick. My appetite disappeared. I had difficulty remembering things. I always felt cold, and I started losing my hair. I visited the university health center. They sent me to a doctor, who sent me to a specialist, who sent me to more specialists for testing. I was biopsied, scanned and blood tested—often multiple times a month. 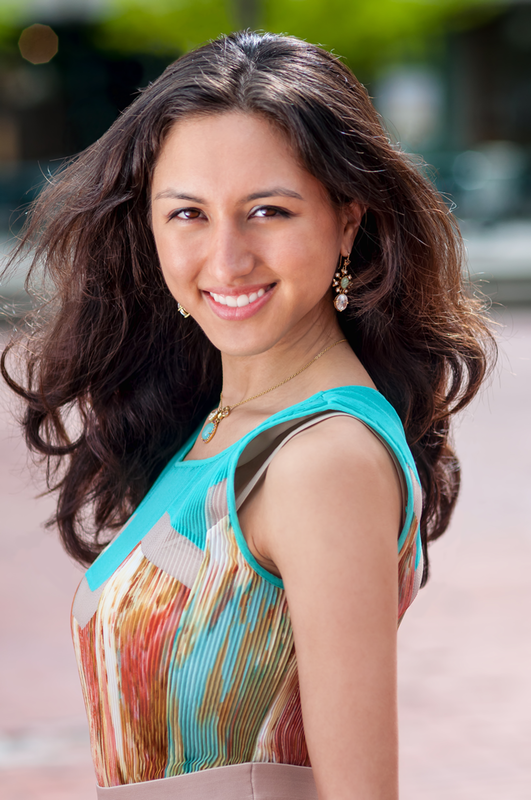 The uncertainty, stress and financial burden this placed on me was crippling—especially as a college student. After months of poking and prodding, I finally got my diagnosis: a thyroid disorder with a very simple treatment. I take one pill in the morning, every day. Compared to all the terrible possible diagnoses and treatments my doctors were considering, this was a huge relief. The process of finding the name for my condition, so that I could get the proper treatment, turned out to be far more painful than the treatment itself. My story is not uncommon. Millions of patients are misdiagnosed each year, shuffled from one specialist to another, and treated for the wrong conditions. Believe it or not, as a patient who got a correct diagnosis within a few months, I was one of the lucky ones. The unlucky patients see dozens of doctors, spend hundreds of thousands of dollars, and remain undiagnosed for life. Finding the correct diagnosis does not have to be this painful, time consuming, and costly. 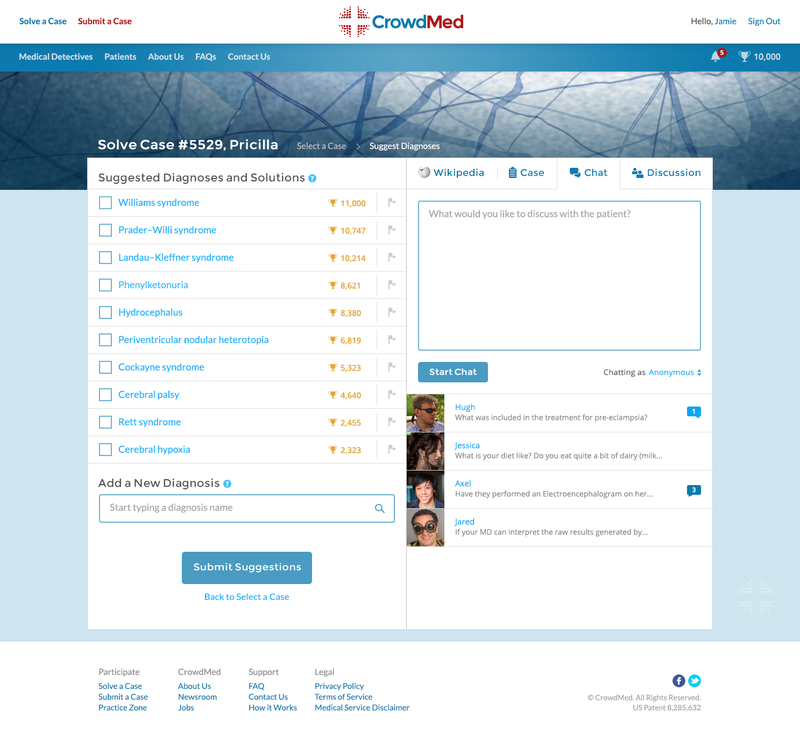 To help prevent patients from going through what I went through, I’m working on CrowdMed. We currently have student ambassadors in medical schools around the world. 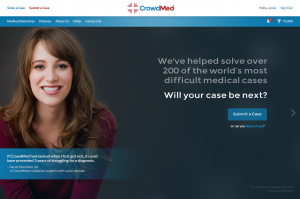 Our ambassadors promote CrowdMed on their campus, getting their fellow students to sign up to help save cases. 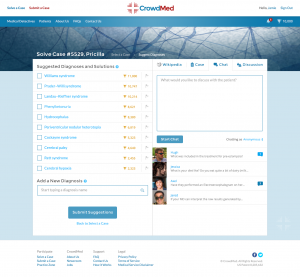 We’re working on partnerships with professors from universities to make solving cases on CrowdMed part of their courses. Healthcare represents almost 20 percent of US GDP – about $3 trillion dollars a year. About 5 percent of patients, those with the most complex medical issues, consume 50 percent of that expenditure – they’re our target market. There is no one else using a prediction market to solve medical cases. To keep our service as accessible as possible, patients can submit case for free. Patients may also offer a cash reward to the medical detectives who suggest the correct diagnosis. 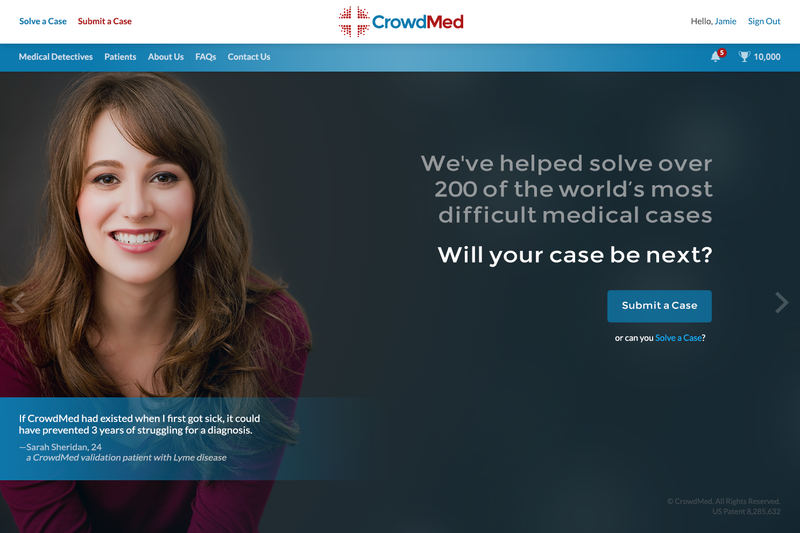 CrowdMed gets 10 percent of the cash reward posted. We want to get more patients and medical detectives on our site so we can potentially save more lives.